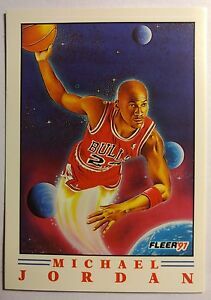 1991 91 FLEER PRO VISIONS Michael Jordan #2, A "TOP 10" JORDAN INSERT, Sharp! 1991 91 Fleer Pro Visions Michael Jordan Chicago Bulls #2 Inserts. 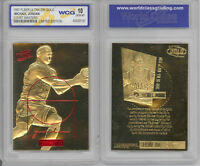 Details about 1991 91 FLEER PRO VISIONS Michael Jordan #2, A "TOP 10" JORDAN INSERT, Sharp! GREAT service and delivery. Item is wonderful. Quick and prompt service. Over and beyond expectation. Great Product, Fast Shipping - Thanks! Awesome! Fast shipping! Smooth transaction!